In 2017, three major hurricanes struck Texas, Florida, Puerto Rico and the Islands of the Caribbean, leaving behind death, destruction, prolonged power outages, and a renewed respect for mother nature's power. 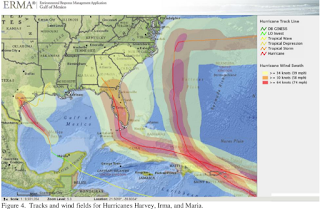 At least, for the roughly 30 million people directly impacted. Like many Floridians, I know exactly what I was doing at this time of the morning (6 am) - 8 months ago (Sept 8th, 2017). 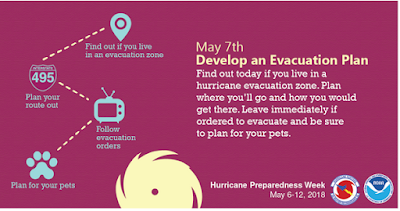 I was battening down the hatches at my home, loading my car, and preparing to evacuate to a safer location as Hurricane Irma barreled towards a landfall to my south. I was lucky (see A Post Irma Update). I had a plan, the proper supplies, a place to go, and my home was still standing after the storm; albeit without electricity, water, Internet or phone for the better part of a week. For me, it could have been a lot worse. For millions of others, it was. As a native Floridian, this wasn't my first tropical encounter, which is why I prepare every year. 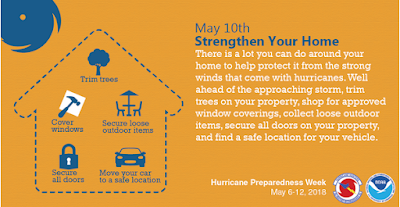 And why I highlight National Hurricane Preparedness Week each May. If you live anywhere within a few hundred miles of the Atlantic or Gulf coast, you live in Hurricane country. 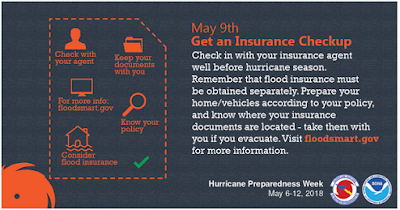 Even further inland, it is still possible to see severe flooding, tornadoes, or high winds from a hurricane that made landfall a 1000 miles away. And the simple truth is, if you don't live in Hurricane country, you probably live in Tornado, Flood, Wildfire, or Earthquake country. 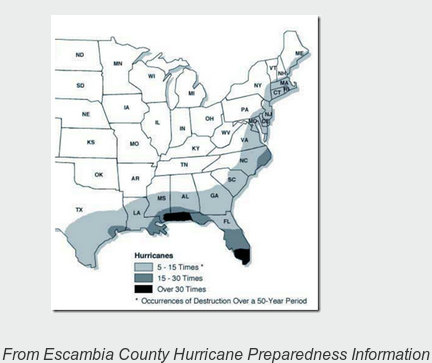 There is literally nowhere in the nation where a natural disaster can't touch you. 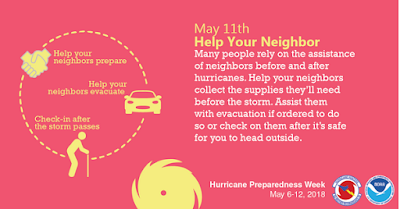 Now is the time to review your emergency plan, bug-out options, and supplies. 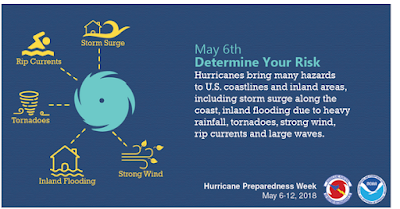 The Atlantic Hurricane season is but 3 weeks away, May and June often see large tornado outbreaks in the Midwest, and earthquakes, tsunamis, and (yes) volcanic eruptions can happen at any time, without warning. 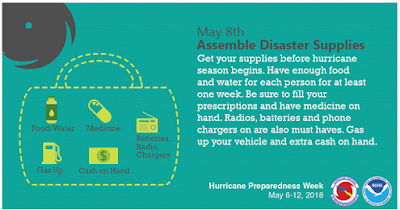 While you may think you will get ample warning and have time to prepare, a good four days before Hurricane Irma struck there was scarcely a flashlight, AA or AAA battery, or gallon of water left on the store shelves where I live in central Florida. 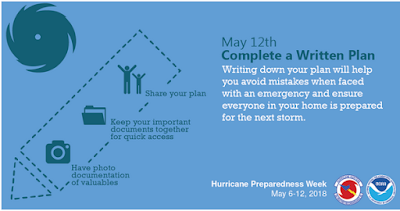 If you aren't fully prepared before the threat becomes known, you may very well be out of luck. While I was pretty well prepared last year, over the winter I've made some `refinements' based on my experiences last fall. For personal comfort, I've added a couple of battery powered personal fans, some solar powered USB battery packs, and LED lights (see photo below). 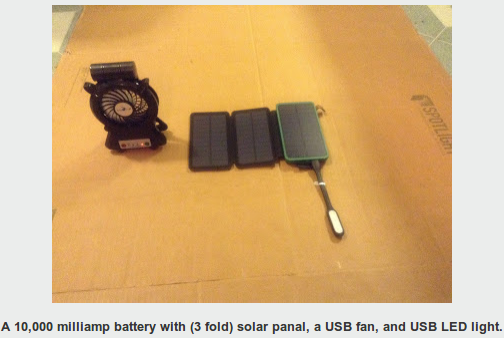 I've also upgraded my solar power system (see Rethinking Solar Power On A Budget).